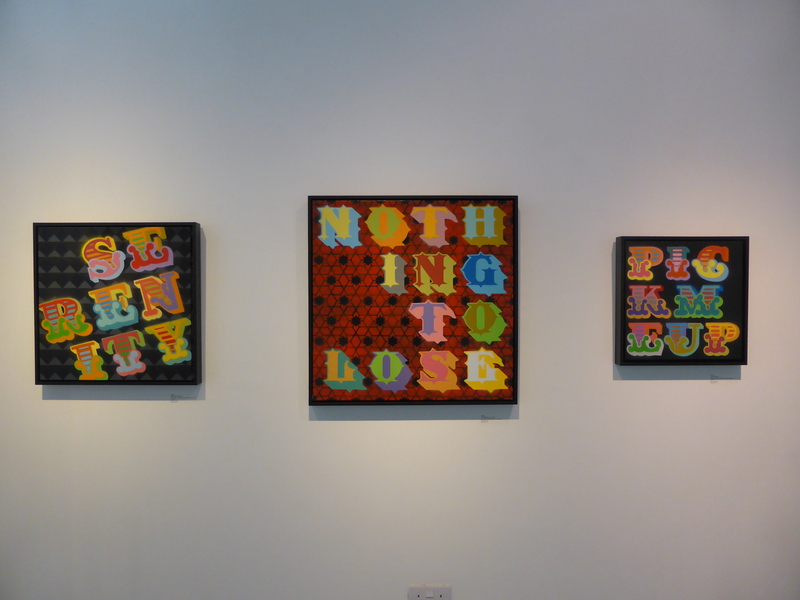 Last Thursday at the Stolenspace Gallery off Brick Lane marked the opening of an inaugural solo show from Ben Eine, one of the most renowned and established names in British Street Art history. Ben Eine’s work has been prominent around East London over the years and there are still many of his works, some older than others, to be seen around Shoreditch and Hackney. 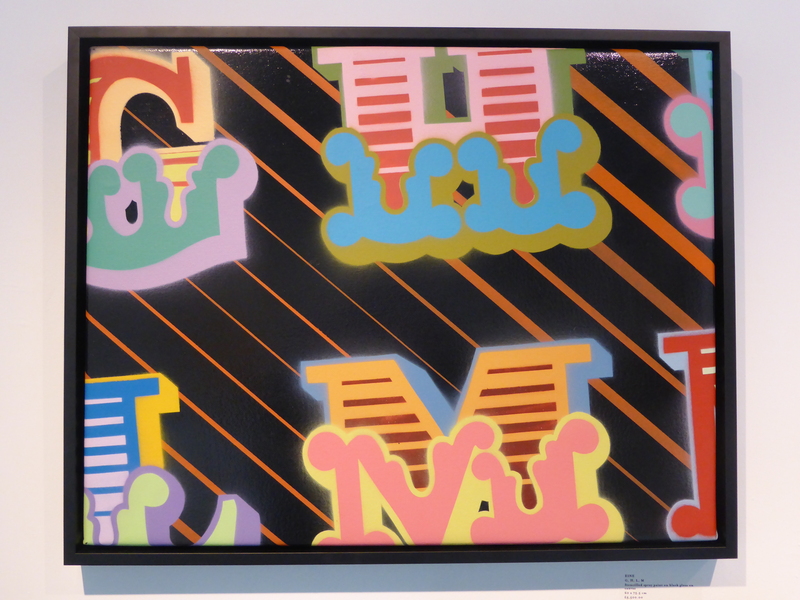 Since his days as a prolific Graffiti Writer on the underground scene, Eine has gone on to become one of the most successful commercial Street Artists around the globe, which in the process has led him to paint the world over, leaving his mark ranging from single distinctive stylized letters or his inspirational and dry witty comments. 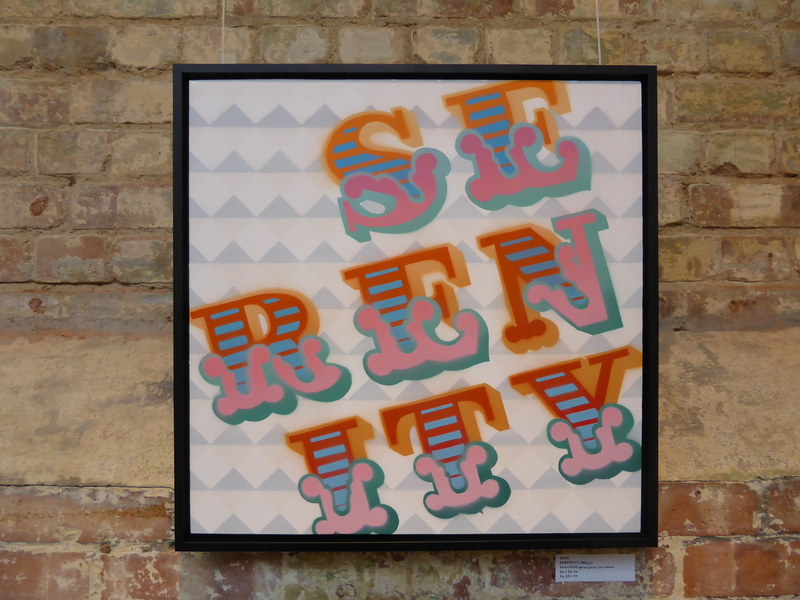 For his latest exhibition Eine is showcasing a number of canvases all featuring his iconic typography, in a variety of formats and styles, which are all instantaneously and fundamentally Ben Eine. 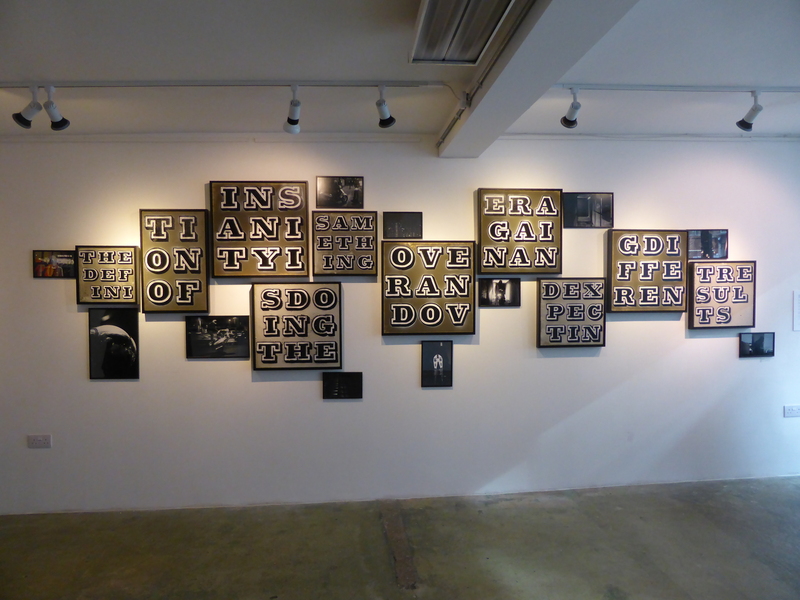 The pieces ranging from singular feature letters and wry statements, such as the very title of the show itself ‘Your Not My Type’ and what is of particular interest, showing a more creative aspect of Eine’s art – not showcased on the street, are the series of works featuring stenciled statements and words on images of Old Master paintings. 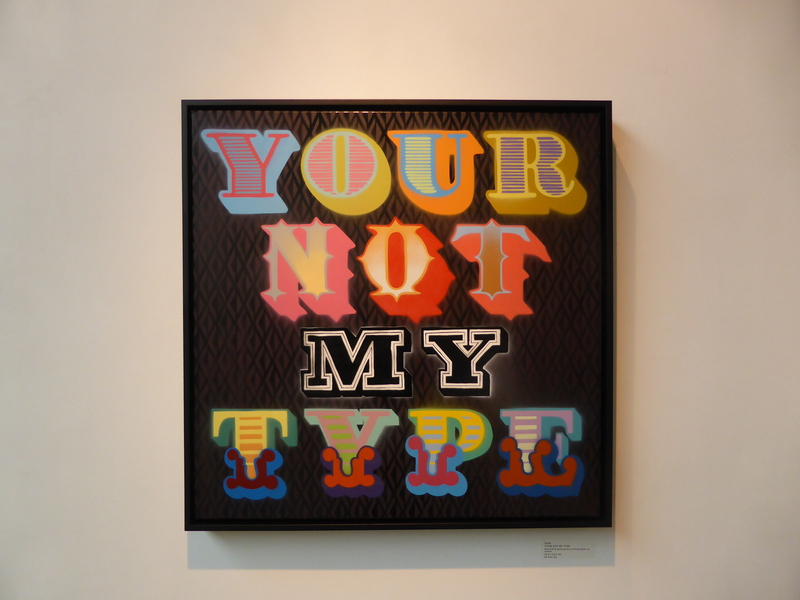 ‘Your Not My Type’ runs until November 22nd at the Stolenspace Gallery, which can be found at 17 Osborn Street. 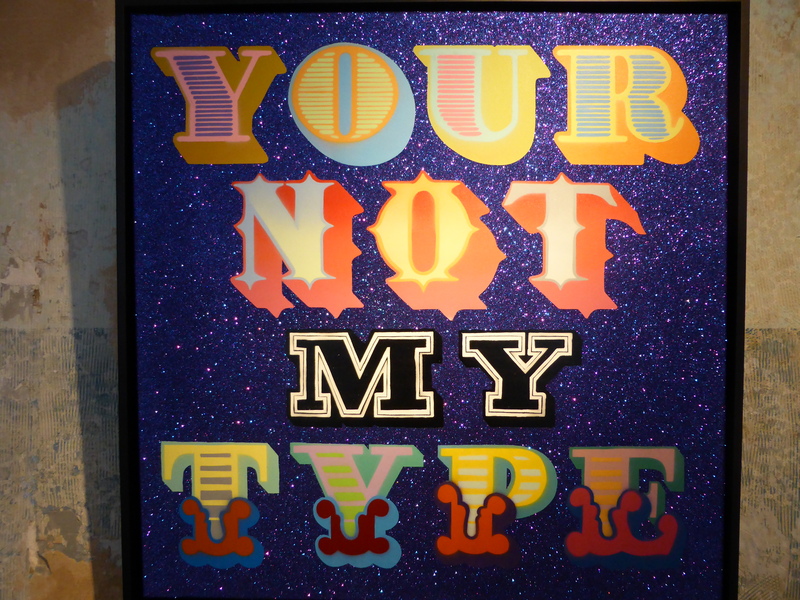 ‘YOUR NOT MY TYPE’ – Stencilled Spray Paint & Purple Glitter on Canvas. 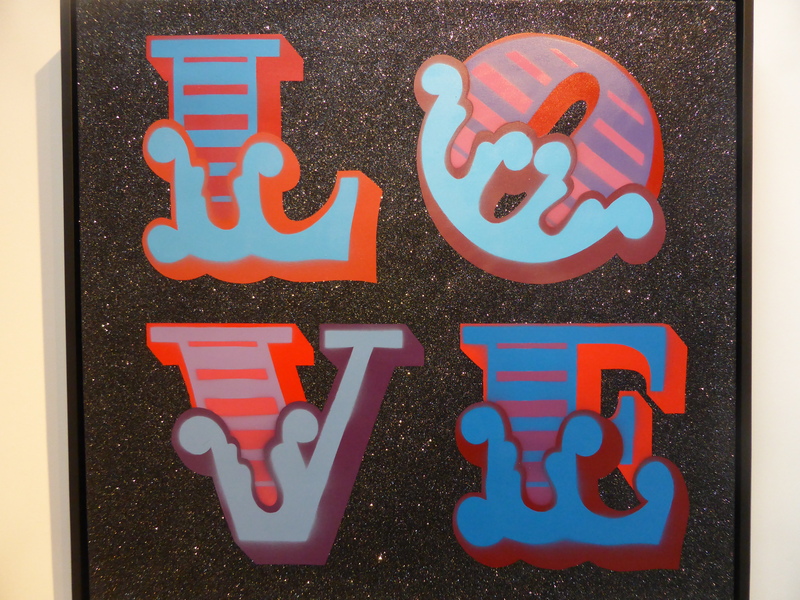 ‘LOVE’ – Stencilled Spray Paint & Black Glitter on Canvas. 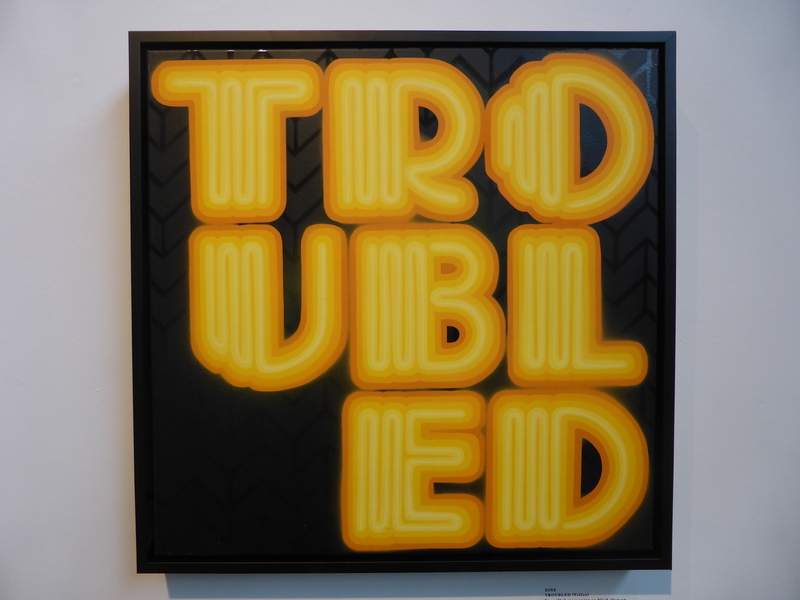 ‘TROUBLED’ – Stencilled Spray Paint on Black Gloss on Canvas. 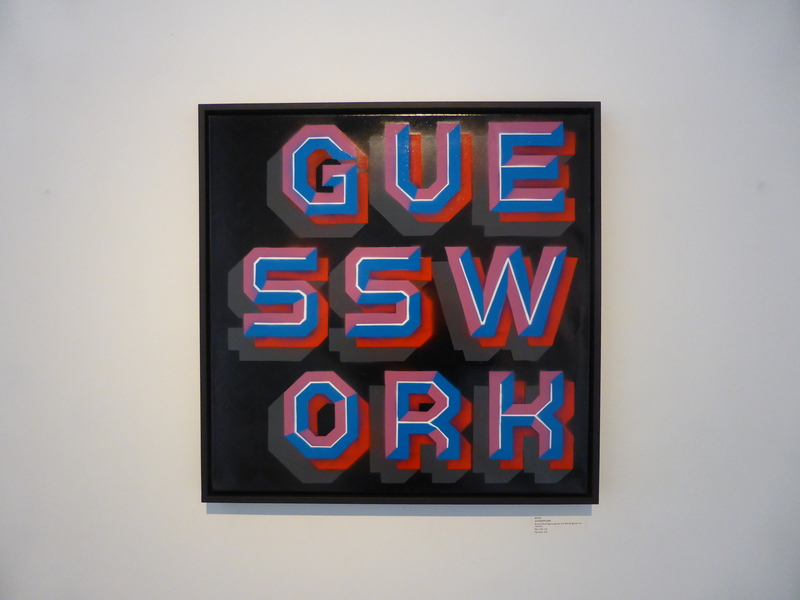 ‘GUESSWORK’ – Stencilled Spray Paint on Black Gloss on Canvas. 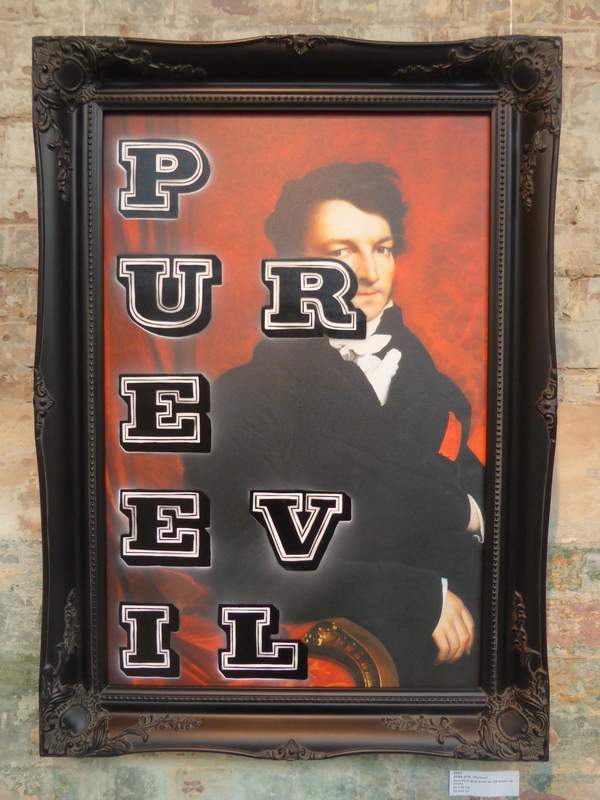 ‘SERENITY’ – Stencilled Spray Paint on Black Gloss on Canvas. 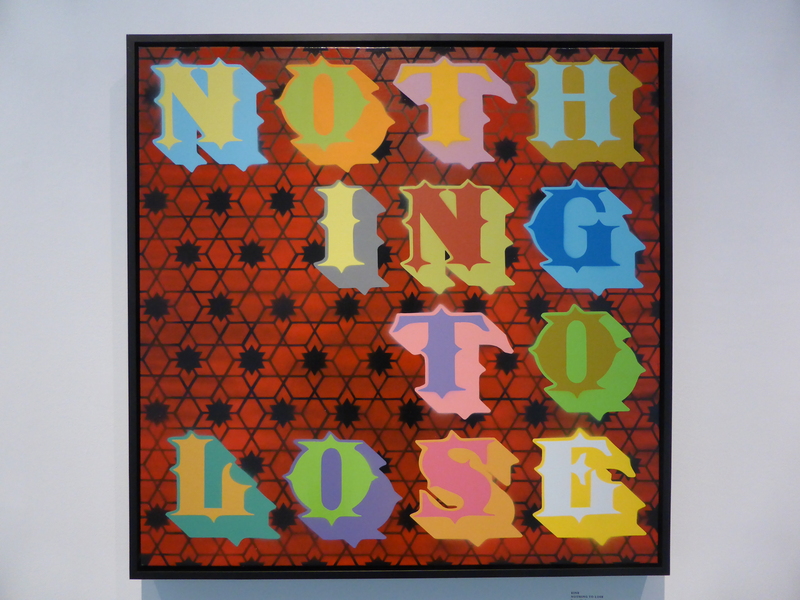 ‘NOTHING TO LOSE’ – Stencilled Spray Paint on Canvas. 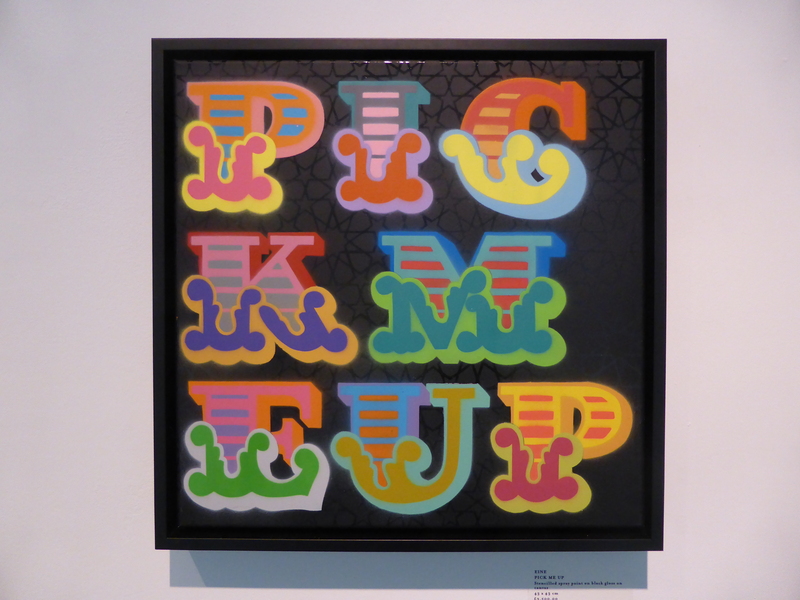 ‘PICK ME UP’ – Stencilled Spray Paint on Black Gloss on Canvas. 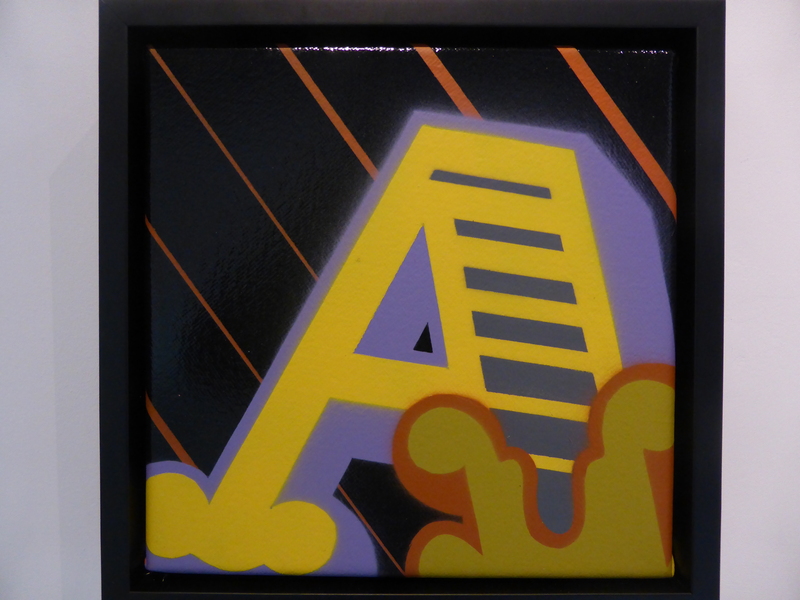 ‘A’ – Stencilled Spray Paint on Black Gloss on Canvas. 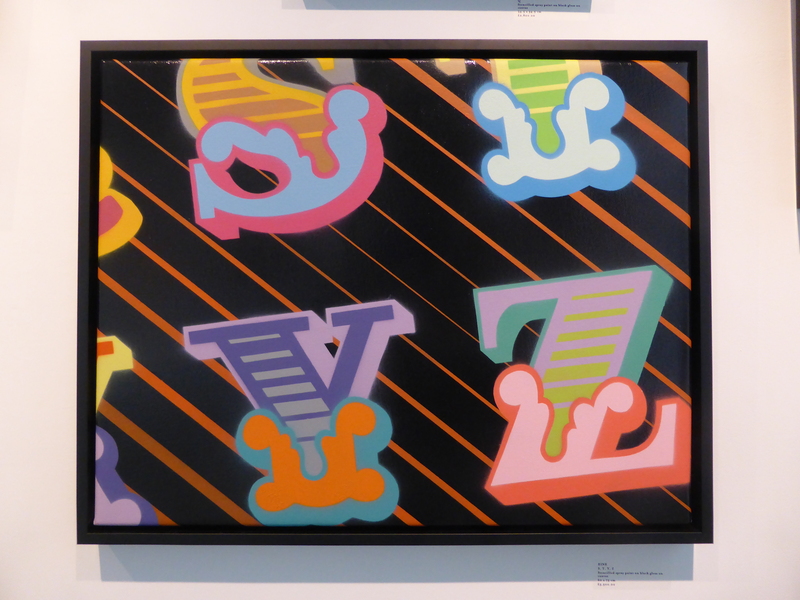 ‘G, H, L, M’ – Stencilled Spray Paint on Black Gloss on Canvas. 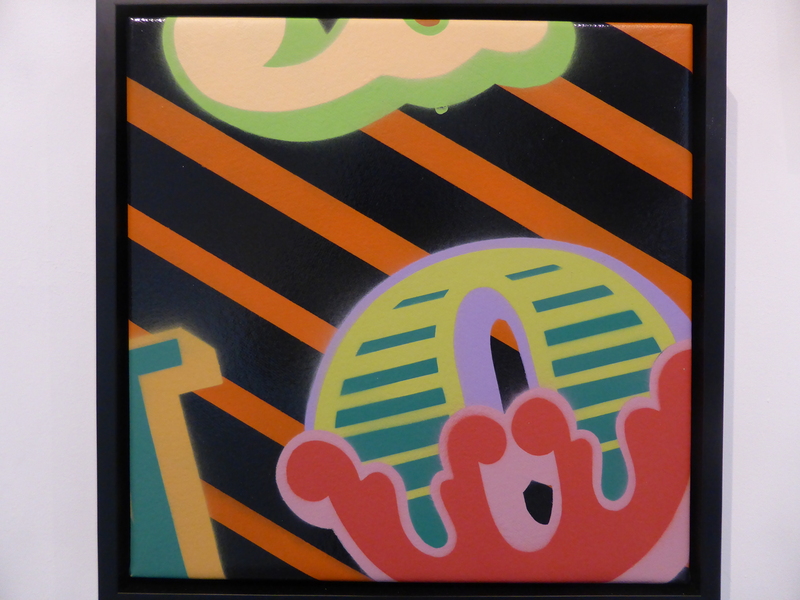 ‘O’ – Stencilled Spray Paint on Black Gloss on Canvas. 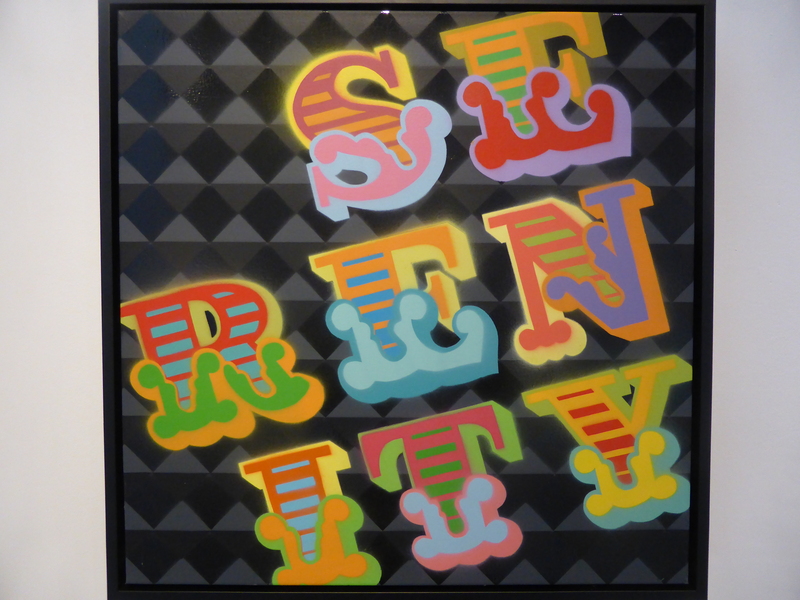 ‘S, T, Y, Z’ – Stencilled Spray Paint on Black Gloss on Canvas. 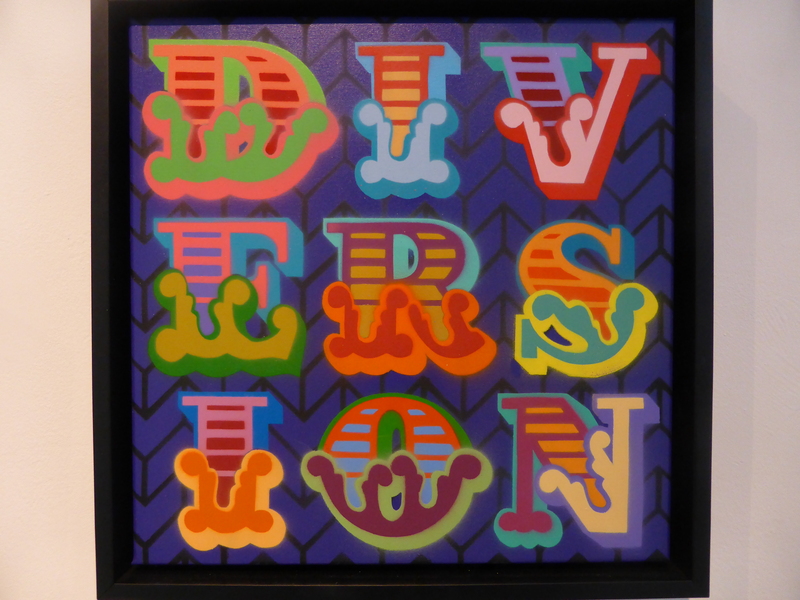 ‘DIVERSION’ – Stencilled Spray Paint on Black Gloss on Canvas. 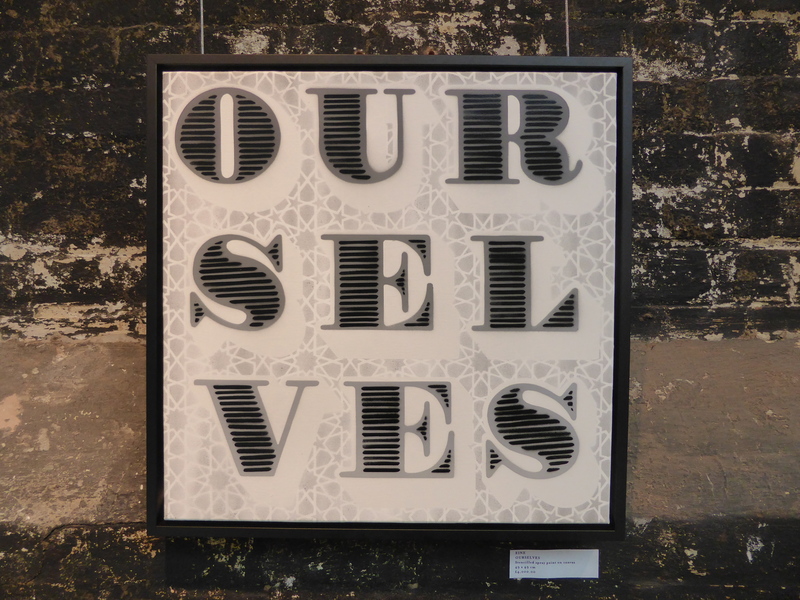 ‘OURSELVES’ – Stencilled Spray Paint on Canvas. 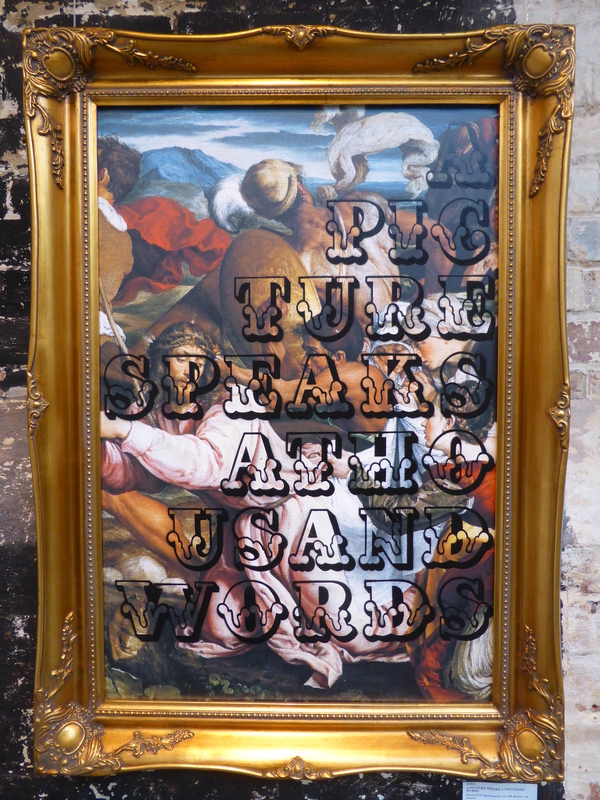 ‘A PICTURE SPEAKS A THOUSAND WORDS’ – Stencilled Spray Paint on Old Master on Canvas. Detail of ‘A PICTURE SPEAKS A THOUSAND WORDS’. 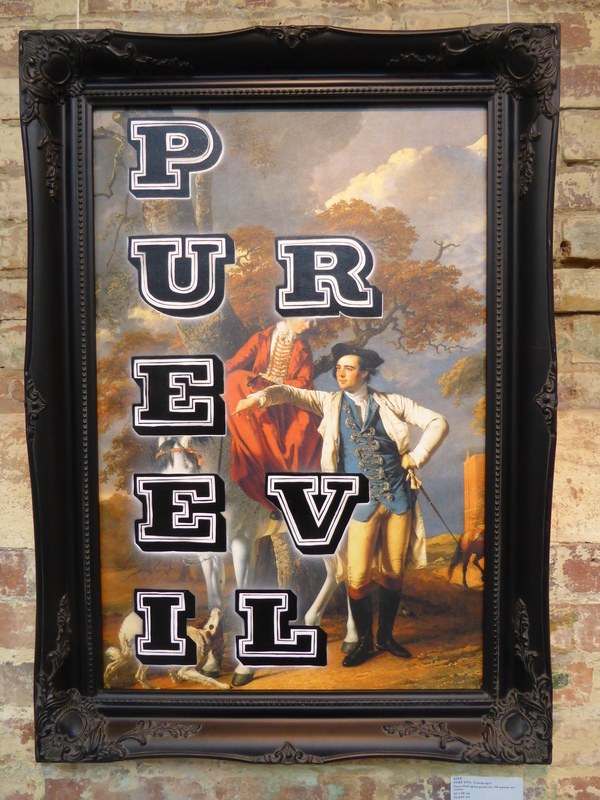 ‘PURE EVIL’ – Stencilled Spray Paint on Old Master on Canvas. 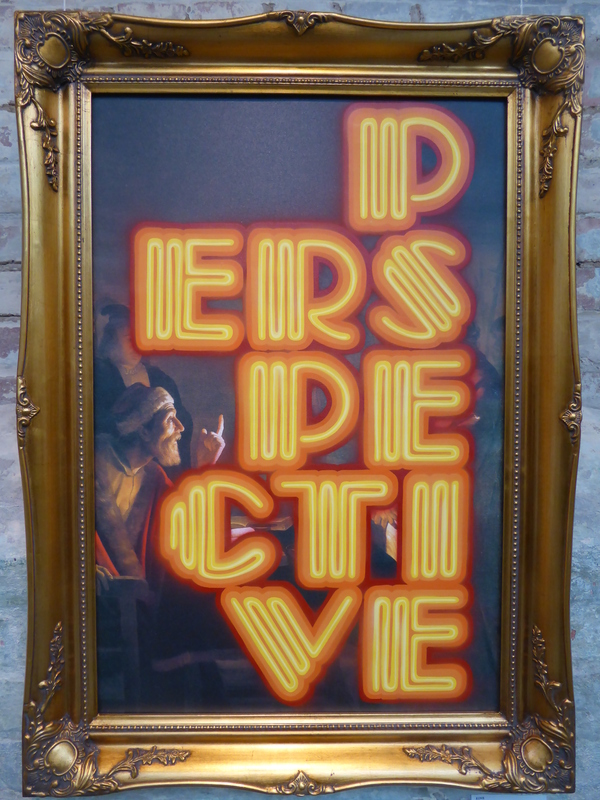 ‘PERSPECTIVE’ – Stencilled Spray Paint on Old Master on Canvas. 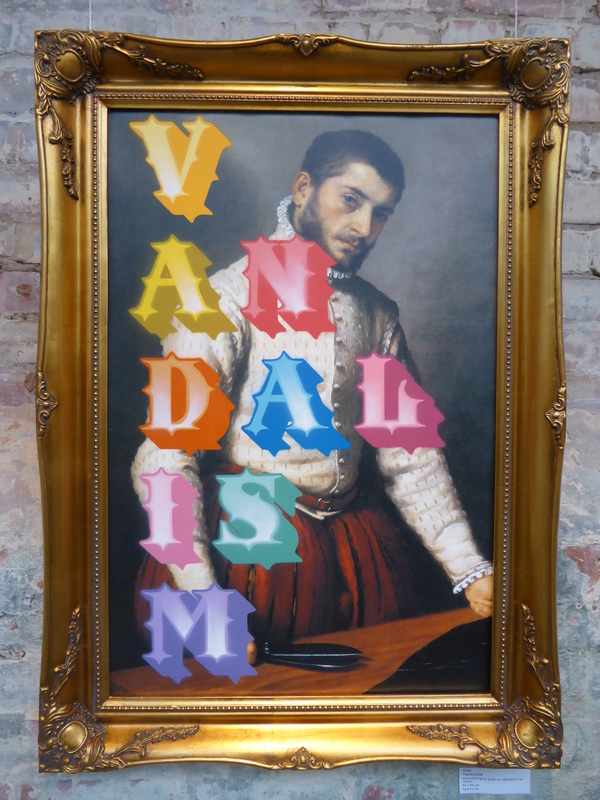 ‘VANDALISM’ – Stencilled Spray Paint on Old Master on Canvas. 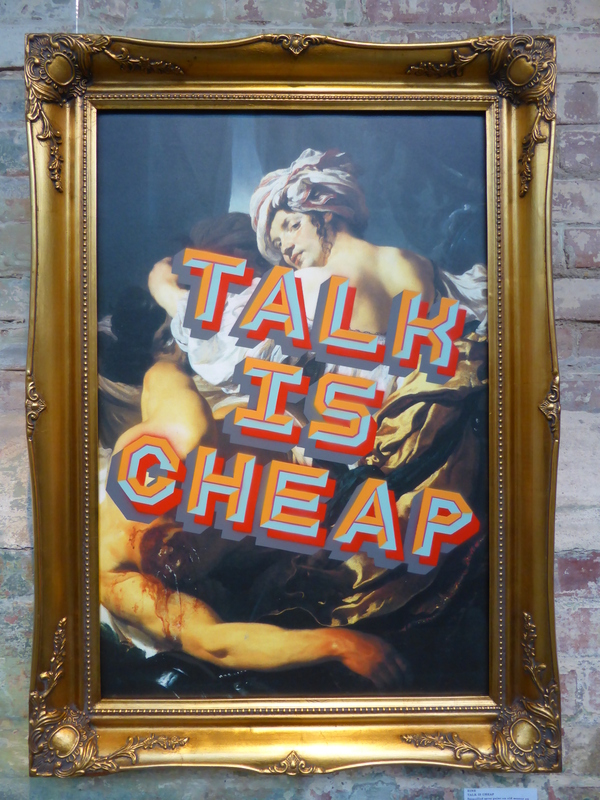 ‘TALK IS CHEAP’ – Stencilled Spray Paint on Old Master on Canvas. 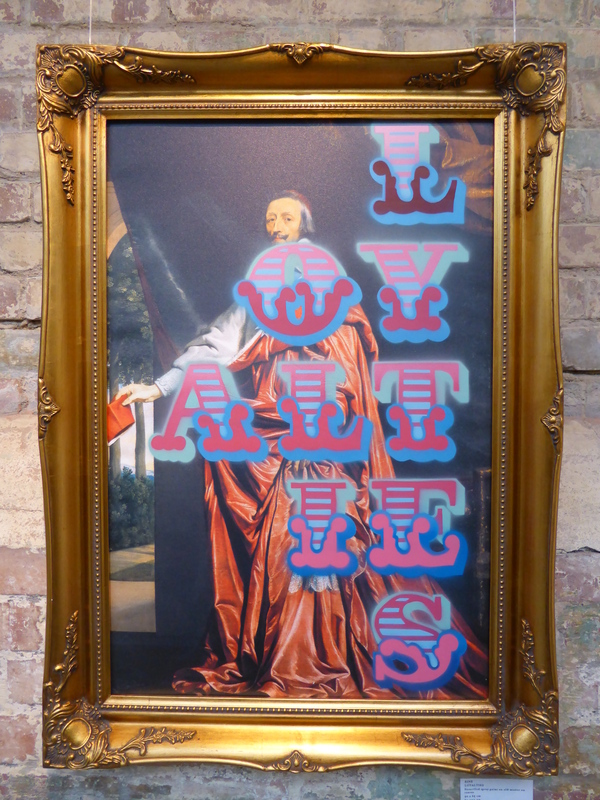 ‘LOYALTIES’ – Stencilled Spray Paint on Old Master on Canvas. ‘SERENITY’ – Stencilled Spray Paint on Canvas. 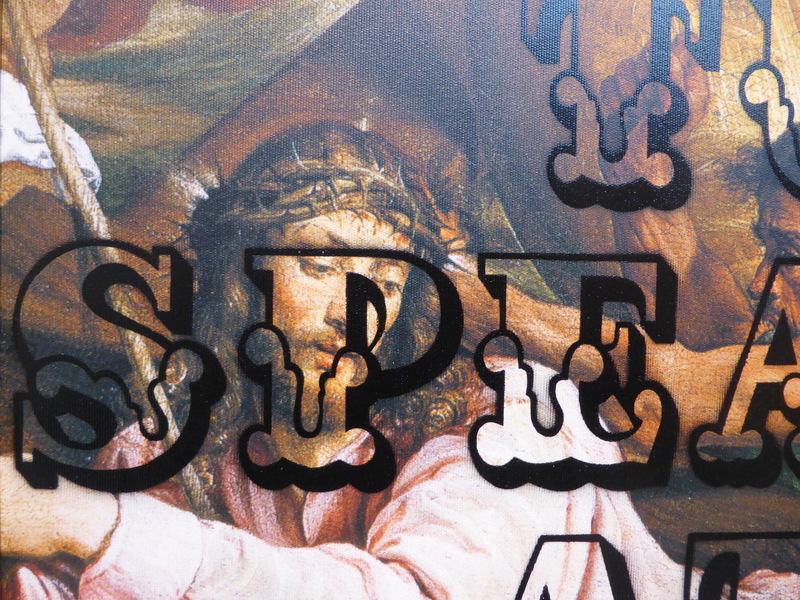 Hi Joe & Eur Moma, firstly we agree with you the typography style is very flat, but Eine certainly has a style of his own and one that has been going strong for years. 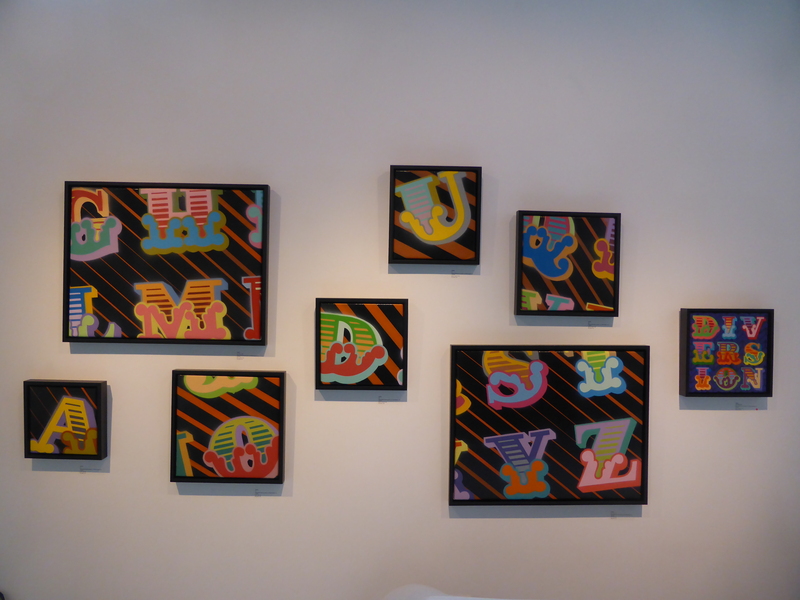 When he started this style, it was something very different and unique, in time fusing the gap between graffiti and more finer art. As for the “Old Worlds” piece which we also found most interesting from this show, he didn’t credit the original source with the title.